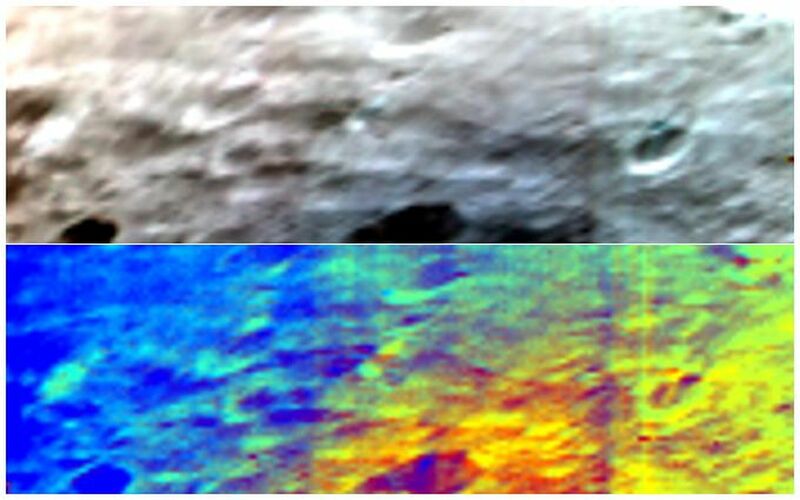 NASA's Dawn spacecraft obtained these images with its visible and infrared instrument on July 23, 2011. The two images represent the same zone of the giant asteroid Vesta with an image resolution of 1.3 kilometers per pixel. 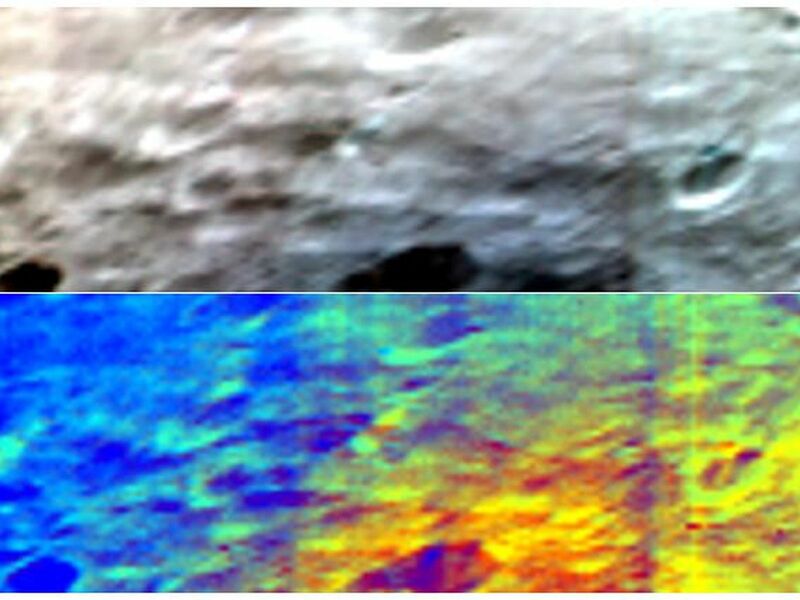 The top image is a simulated true-color picture of the asteroid's surface to show what it would like to the human eye. The image was produced by assigning visible-light colors (blue, green and red) to three visible and infrared channels (440, 550 and 700 nanometers). 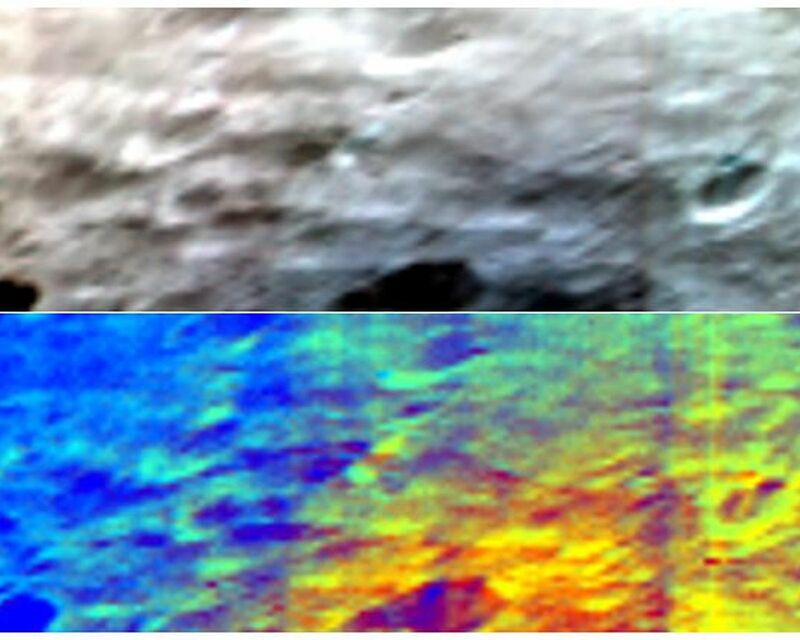 In the bottom image, visible and infrared channels have again been assigned visible-light colors. But in this case, the colors were chosen to enhance the differences in the composition of the asteroid surface and, therefore, in the geologic processes that must have created them. The Dawn mission to Vesta and Ceres is managed by the Jet Propulsion Laboratory, Pasadena, Calif., for NASA's Science Mission Directorate, Washington. It is a project of the Discovery Program managed by NASA's Marshall Space Flight Center, Huntsville, Ala. UCLA is responsible for overall Dawn mission science. Orbital Sciences Corporation of Dulles, Va., designed and built the Dawn spacecraft. The VIR visible and infrared mapping spectrometer was developed under the leadership of the Institute for Space Astrophysics and Cosmic Physics (IASF) and the Institute for the Physics of the Interplanetary Space (IFSI), both belonging to the Italian National Institute for Astrophysics (INAF), Rome, Italy. The instrument was built by Selex Galileo, Florence, Italy. The VIR project is funded by ASI, the Italian Space Agency.